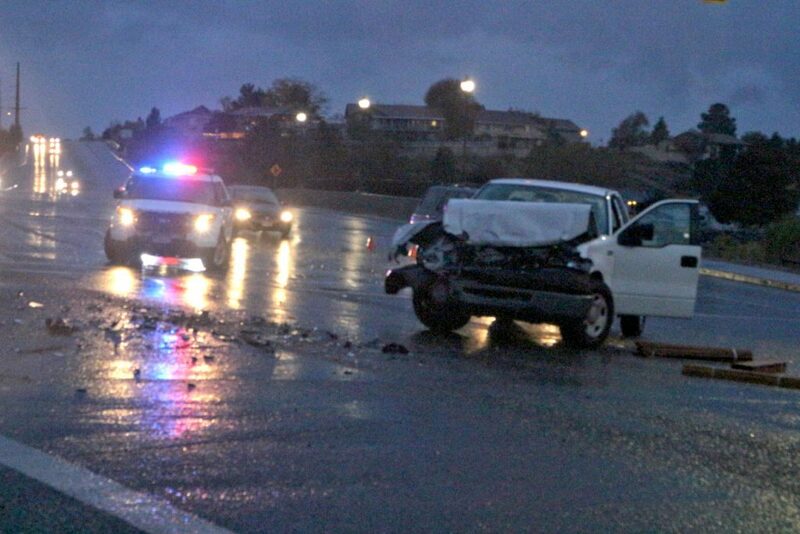 ST. GEORGE — A driver running a red light is believed to be the cause of a collision at the River Road and Horseman Drive intersection on a rainy Thursday evening that temporarily impacted traffic. 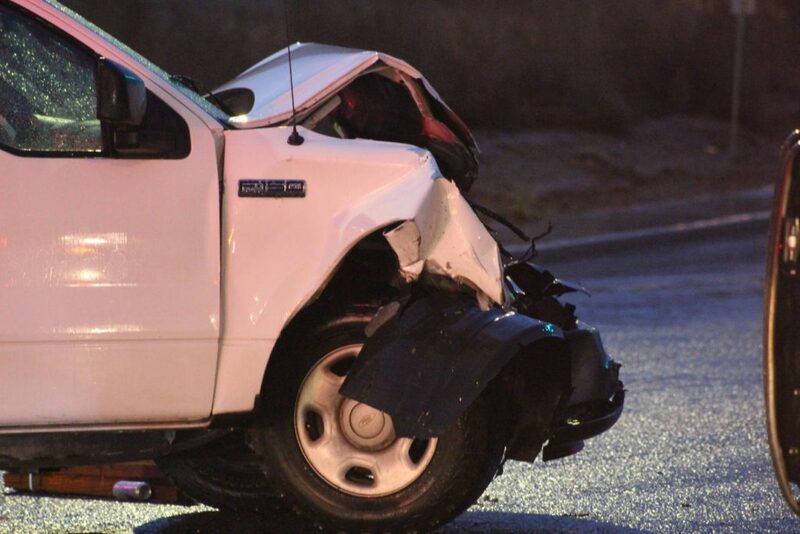 The collision occurred just after 5 p.m. when, according to a witness, the driver of a white Ford truck that was northbound on River Road allegedly ran a red light and hit a southbound vehicle that was making a left turn onto Horseman Park Drive, St. George Police officer Tiffany Atkin said. The driver of the southbound vehicle had been waiting for a red light before turning toward Horseman Park Drive, Aktin said. Despite the force of the collision that destroyed the front end of the Ford truck, no injuries were reported as a result. 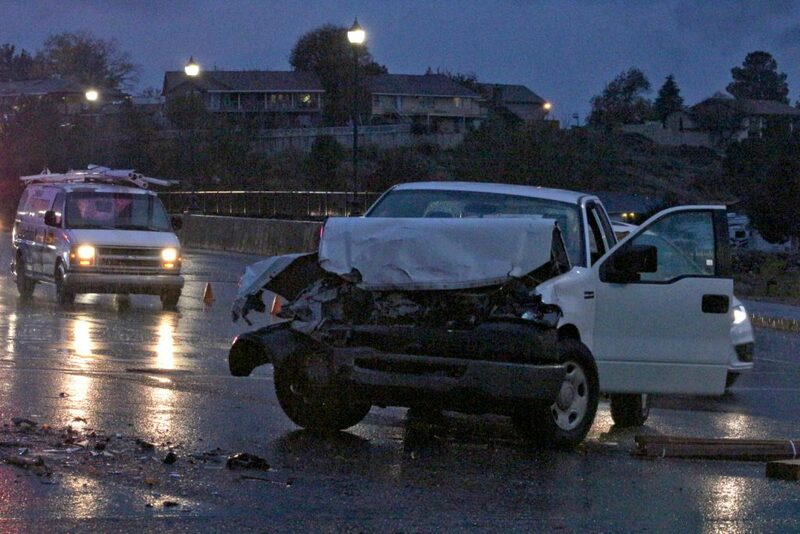 Both vehicles had to be towed from the scene. 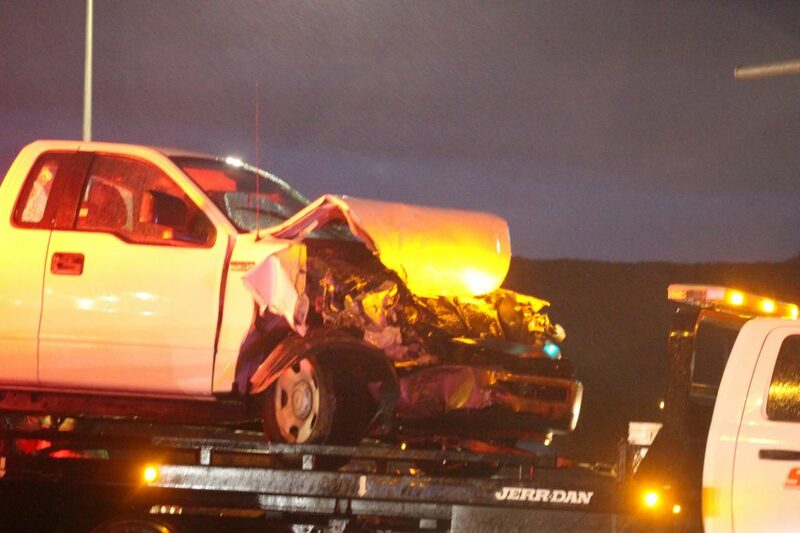 The Ford’s driver was cited for failing to obey a traffic signal, Atkin said. Northbound traffic had to be diverted about the crash while motorists attempting to turn left onto River Road from Horseman Drive had to go right instead. The scene was cleared by 6 p.m.
You need to drive like you have been targeted.